The stock above has 7 million float. 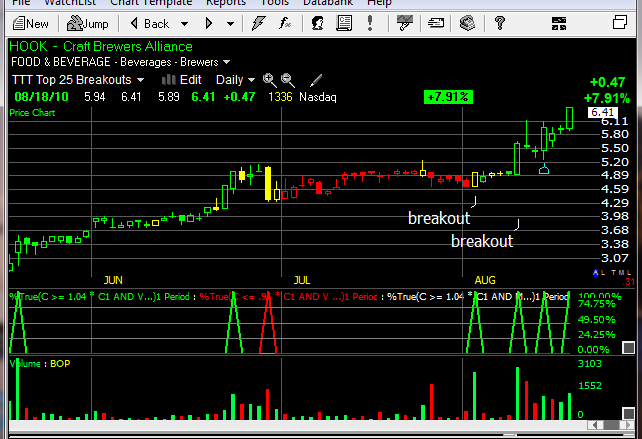 These kind of low float stocks often make big moves if there is catalyst and high volume breakout. Using Telechart you can easily find such breakouts. 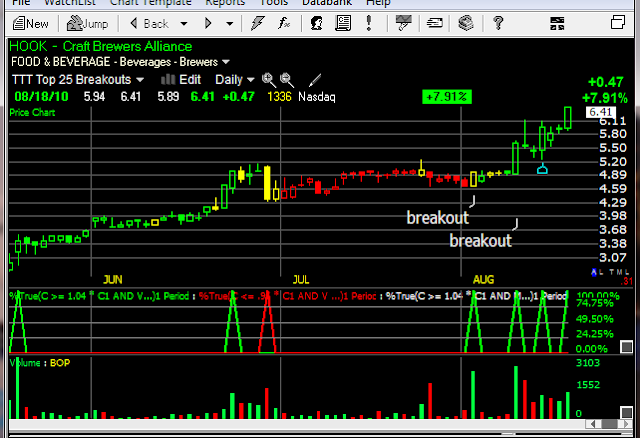 Use the list to analyse each breakout like we do in Episodic Pivots method. Could you please define "float". Did you mean the stock should be small cap with Mkt Cap of 7 million ? Or it is float short? It is the float of 7 million not capitalization or short interest. Float is the actual number of shares available for trading.